Very often, when we are asked to shell out hard earned dollars for a supplement, we are reassured that a study has been conducted showing (surprise!) that this specific supplement ensures 3100% more gains than using no supplement. Great, I’ll take two please. Oh, and does it come with a free t-shirt? Sadly, proper science (and honesty) is not very well represented in the fitness world. Case in point: the often-quoted Colorado experiment. The Colorado experiment was a “study” done where a man trained only 3×30 minutes per week, yet gained 40lbs. of muscle in 6 weeks. Wow! Great! Where do I send the check? It was one person, so it is hardly a study but a story. That person was Casey Viator, one of the most gifted bodybuilders of all time. Can you say 18-inch arm at age 17? 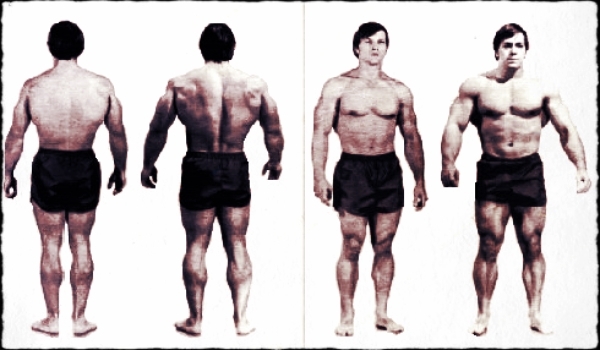 Casey Viator suffered an accident with a tetanus infection right before the Colorado experiment took place, so technically, he regained old muscle mass as opposed to building new mass. Viator snuck out of the facility to train on his own, totaling his training time to be more than 90 minutes per week. He was on every steroid known to mankind. And yes, performance-enhancing drugs play a huge role in any sport. And yet, unscrupulous companies or individuals (Hello, Tim Ferris) will use this “study” to sell its supplements or videos. Do not fall for these snake oil salesmen! Unless it is a clinically controlled, double blind study, it is useless.